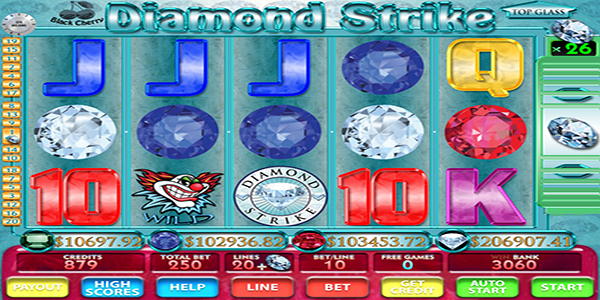 Slots Diamond Strike The number 1 casino slot machine. It doesn’t get more real than this! Play for Free forever!! Download now for Free Credits every day. 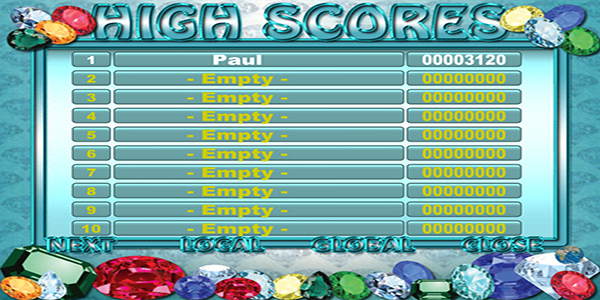 Features amazing graphics and sounds. 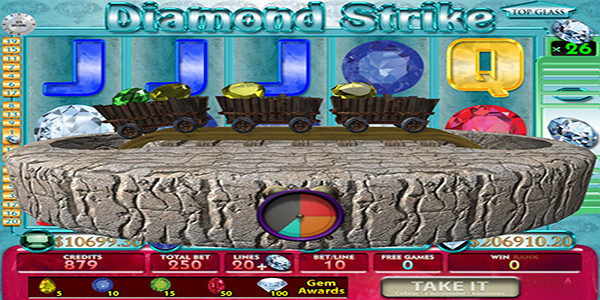 Plenty of new and unique bonus features, including Jewel Train, Kockouts and Pickawin. 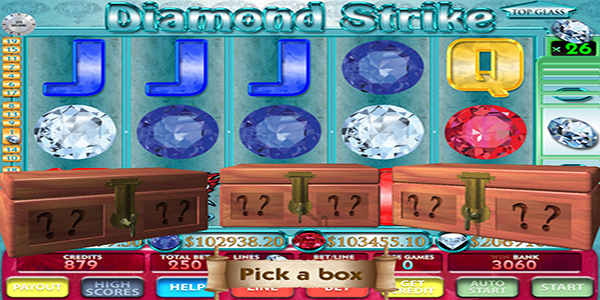 Bet up to 20 lines or play the amazing Diamond Strike 6th reel for really BIG prizes. 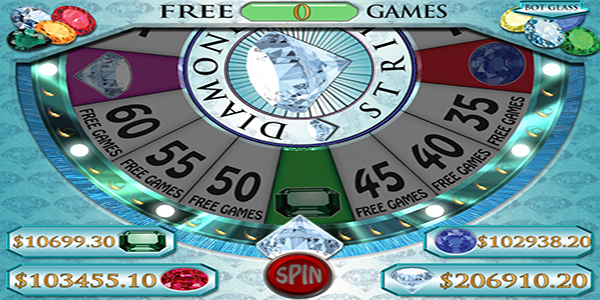 All wins can be gambled on a true odds multiplier card gamble. Win one of 4 live progressive pots! Plays best on a tablet. 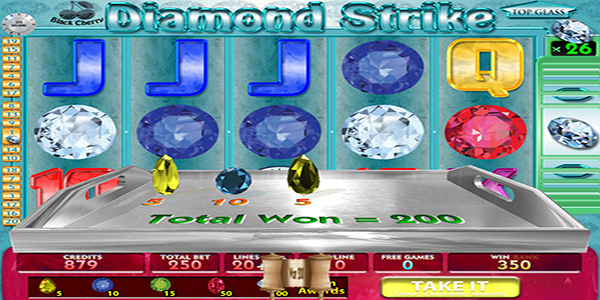 Slots Diamond Strike Slot machine simulator is available on iTunes.